The oval at Cervantes had the day-after look when we visited on Sunday 2 July 2011. 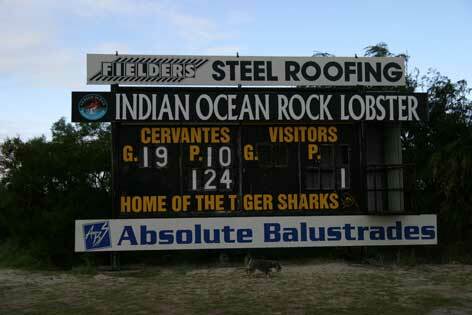 The day before the Tiger Sharks had thrashed Lancelin to cap off the celebrations of the 10th anniversary of a league premiership and the 20th anniversary of a little league flag in the Central Midlands Coastal Football League. The 2001 league premiership team contained some handy players including best-on-ground Dean Bertram, who played over 100 games for East Perth; Lucio Baroni, who played 151 games for the Royals and was fairest and best in 1990 the year he was runner up for the Sandover Medal. The little league premiers of 1991 featured a member of the most famous football family in Cervantes – Brent LeCras who went on to play for West Perth, North Melbourne and SANFL team Port Adelaide. He won a Simpson Medal as best-on-ground in the 2003 WAFL grand final and another for the WAFL against the SANFL in 2009. His younger brother Mark was West Coast’s fairest and best winner and an All-Australian in 2010. Their father Peter was a member of East Fremantle’s premiership team in 1979. Peter’s father Phil was a goal kicker of note for Miling in the Central Midlands Football League – he once kicked 25 goals in a game. Cervantes have been very successful in recent years. 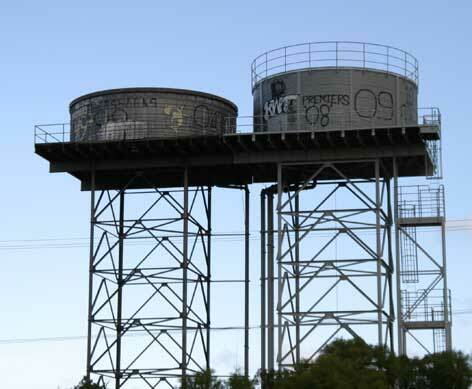 Premiership victories are summarised on the water towers just outside the oval. PERSONAL NOTE: When I think of Cervantes the first name that comes to mind isn’t Le Cras. I think of John Harms – sports writer and co-founder of www.footyalmanac.com.au and The Footy Almanac series of books. In 2007 Harms called into the ABC Radio show In the Sheds with Paul Daffey and Ian Cover. 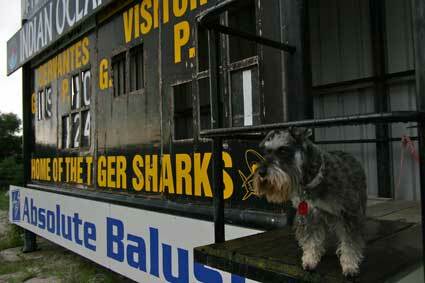 He was, he said, leaning against a point post watching a reserves game at the oval at “Sir Von Tay”. You could sense the puzzlement among listeners all over WA. LITERARY NOTE: Spanish writer Miguel de Cervantes wrote Don Quixote, arguably the first modern novel. He once said: “Pray look better, sir…. 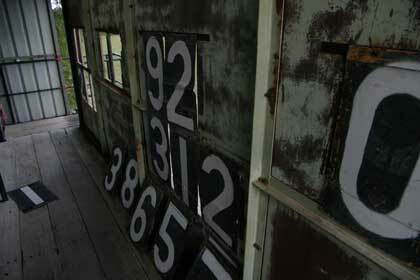 those things yonder are not giants, but windmills.” Perhaps he meant scoreboards.